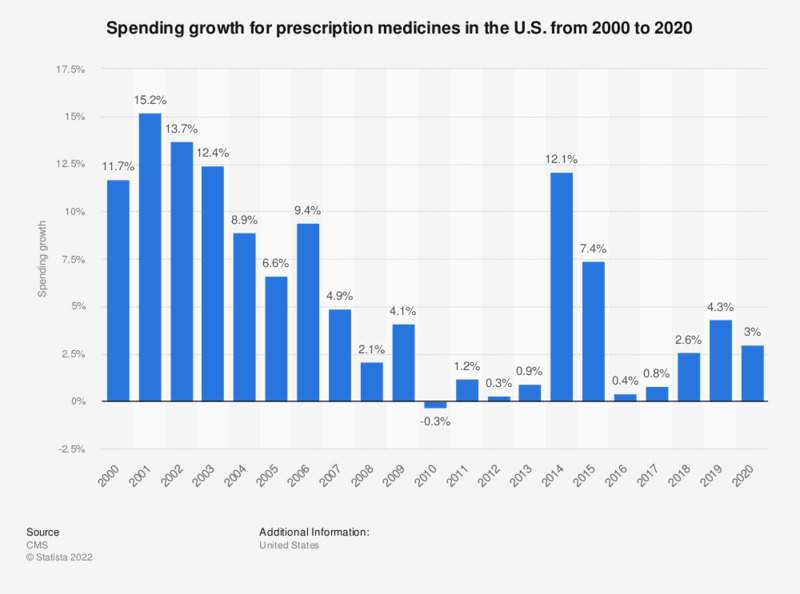 This statistic shows the spending growth for prescription medicines in the United States from 1999 to 2016. In 1999, spending on prescription medicines had increased by 18.4 percent compared to the previous year. * Total retail sales including brand medicines and generics. This statistic was assembled from several Chart Pack editions. Do you trust prescription drugs?